The holiday season is upon us and now is the perfect time to prepare your skin for the increasingly cold weather (and upcoming holiday parties)! One of our favorite treatments to perform during the fall and winter months is Fraxel Restore Dual (Fraxel). Whether you are a younger patient looking to maintain healthy skin or someone seeking to reverse the signs of aging, Fraxel is a highly effective option for patients of any age or skin type. So, without further ado, I’m going to share with you the top three reasons why we love Fraxel – and hopefully have a bit of fun doing it! Have you seen the wavelengths on that device? Seriously – Fraxel is unlike other laser treatments in that its additional laser wavelengths help address pigmentation and fine lines with fewer total sessions required. The device uses a combination of laser wavelengths to safely stimulate collagen development and remove excess pigment. It essentially is a catch-all procedure that evens out fine lines and wrinkles, helps to improve the skin’s overall texture and has little downtime. It’s the cure for the common concern! Are you worried with any of the following issues? If you answered, “Yes!” (and there may have been multiples “Yeses”) then you will love what Fraxel can do for you. Our entire team is passionate about helping patients achieve their skin health goals, and really takes the time to understand your individual needs and desires through our personalized consultation process. Dr. Seiler and our team spend at least 45-60 minutes in consultation with you prior to recommending any treatment (Fraxel included) to ensure that our recommendation for you is the right one. It’s just one of the many ways in which we stand apart from other practices and practitioners who offer this procedure to their patients. Don’t just take it from me – check out our reviews HERE! It’s all about those #results! We’re not talking about gains from the gym, we’re talking tangible, lasting results for your skin (it’s cheesy, it rhymes and I’m OK with it)! After one to three weeks, patients will experience significant pigment resolution and overall brightening of their skin. In fact, many patients report they wear less makeup to hide their concerns. Over the following months, patients’ collagen remodeling will drastically increase, allowing for further reduction in fine lines and wrinkles as well as visibly smoother and tighter skin. Patients often see these types of results after only a single treatment. However, depending on the severity of your skin concerns, we may recommend an initial series of treatments and subsequent maintenance treatments every six to 12 months to keep your skin looking youthful and healthy. Clearly, we’re big fans of this procedure and are confident that you’ll love it too. But at Seiler Skin, we go well beyond simply performing a treatment on our patients. We are most concerned about helping you look and feel your absolute best. Fraxel is a great fit for many people, but like everything we offer, it may not be right fit for you and your concerns. So, this is just me inviting you to come in for a one-on-one consultation, where together we can determine if this or another treatment will help you truly stand out from the crowd this holiday season (and not just because of your amazing sweater). 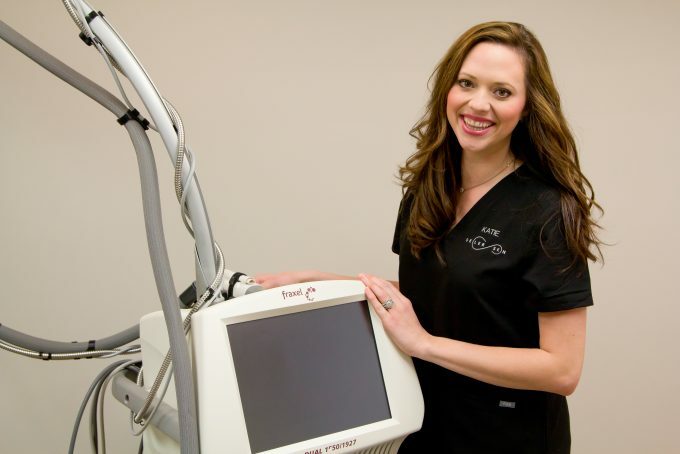 If you are interested in learning more about Fraxel laser treatments, book your appointment today or call 205-870-0204!